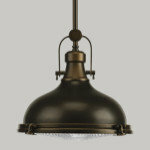 Outdoor Lighting Perspectives is the world’s original and largest full service custom outdoor lighting company. Artfully designed to create warm glows of energy-efficient light to illuminate and beautify the exterior and landscapes surrounding your home, Outdoor Lighting Perspectives can also service or upgrade any outdoor lighting system. Around the globe 100,000 homes now feature stunning Outdoor Lighting Perspectives outdoor lighting systems for a wide variety of applications, such as architectural lighting; garden lighting; landscape lighting; underwater, fountain and pool lighting; patio and deck lighting; driveway lighting; walkway lighting and much more. 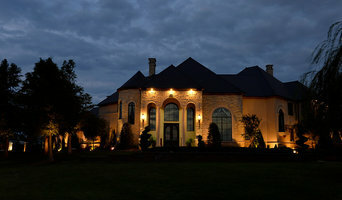 Outdoor Lighting Perspectives has worked hard to earn our stellar reputation for uncompromising professionalism, unparalleled service and exquisite lighting design. We are extremely proud of our responsiveness and attention to detail. Not only will we arrive when promised, we will exceed your expectations. We’ll leave your outdoor areas looking even tidier than we found them. And, of course, you’ll enjoy a beautifully lit home and grounds that are safer for your family and more inviting for lingering outdoors long into the evening. Outdoor Lighting Perspectives is a local-owner-run business organization with locations across major cities throughout the United States, and as far as Canada, and Kuwait (so you know our fixtures can take both the cold and the heat). 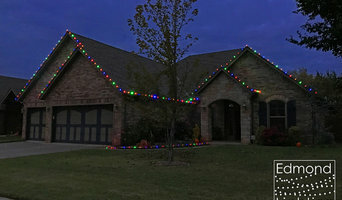 Edmond Lighting Design Co. offers professional Christmas and Event light installation and removal. Not only do we provide the lights and decorations, but we will even store them for you during the off-season! 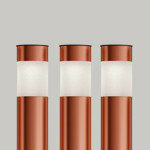 We use commercial grade products, energy efficient bulbs and offer competitive rates. Contact us for your free estimate to see how we can make your holidays or special occasion SHINE! Blazing Beats is committed to taking your outdoor entertainment to new levels. Making your music come alive. From backyard gatherings, to relaxing evenings, our sound reactive fire products allow you to visualize music while experiencing the fusion of fire, sound, and more. 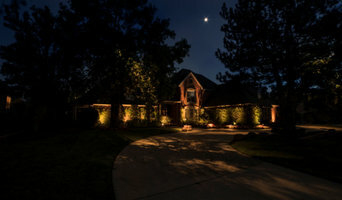 Enhance your Beautiful Landscape and Home exterior with our Professional Landscape Lighting. 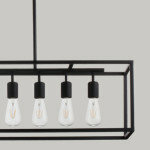 We also do updating, reinstalling and upkeep of old lighting systems. 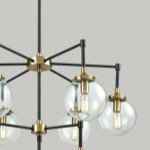 First customer from Houzz gets free installation and all lighting products at cost! As we extend our living spaces to include outdoor rooms, it seems natural to want outdoor audio and visual systems. Sound system professionals in Oklahoma City, OK can install state-of-the-art wireless weather-resistant music systems anywhere you want to add music to the mix. What services do Oklahoma City outdoor audio and visual system professionals provide? For the most part, people hire outdoor entertainment system providers for backyard installations. After all, pool parties and barbecues are much more fun when there is music to enjoy. How do they do it? Your Oklahoma outdoor custom audio system technician can work with your landscape designer or architect to install weather-resistant outdoor speakers, discreetly buried into your landscaping with no loss of sound. Here are some related professionals and vendors to complement the work of outdoor lighting & audio/visual systems: Landscape Architects & Landscape Designers, Landscape Contractors, Decks, Patios & Outdoor Enclosures, Siding & Exteriors. Home theaters are moving outdoors, too. Sports fans can grill without missing the game, and families can invite neighborhood friends over for movie nights. Special weatherized flat-screen TVs are coated to minimize glare. Imagine your Oklahoma City, OK backyard with a custom-designed outdoor theater system — complete with a large projection screen. It makes backyard entertaining easy. Find outdoor audio and visual system professionals on Houzz. Look in Houzz’s Professionals section to find Oklahoma City, OK outdoor audio and visual system experts. Narrow your search to the nearest city or metro area for a list of nearby businesses. Get contact information, read reviews and look at completed Oklahoma custom outdoor sound system projects.